From Molly's art kit to Celine's smocked dress, the list of lovelies just goes on and on... soft toys, mittens, totes, purses, soap, seed balls, jewelry, scarves and more.Lots of fun sewing, but only basic skills needed. All good, all thoughtful, and all beautiful... and all designed with the intention of helping and giving. It's at your local bookstore so you can open it up and look for yourself! Lark Crafts has given their Craft Hope contributors each an extra copy of the book. They even recommended that their designers sign them. Ha! That feels so sweet and fun. So I will do just that, and send it off to one of you... with a little bonus surprise tucked inside... just a small something, I crafted with love and care for you. As always, I'll ship it anywhere in the world... please leave a comment by next Wednesday, August 11 5pm EST, and I'll announce the winner on Thursday morn. Good luck and have a beautiful weekend! A friend an I were recently talking about making dress and dolls for chaity. This looks like a fantastic book!Thank you for the chance to win. So many lovely projects in between those pages! This is a lovely book. Thanks to you and Lark Books for the chance to win. So beautiful... The very best of crafting and crafters... Fingers crossed! thank you so much! what a beautiful book! Hello Maya! Congrats on being published, first of all, your work is always to amazing, and thanks for offering your first copy! I would adore this book, I know it. It would make a great feature in the NOV/DEC issue of Pure Green Living Magazine as well, as a call for readers to create xmas gifts instead of purchasing them! Oh My I would love to own a copy of this book,...thanks for sharing. This looks like a great book! I am working my way through "knitting for peace" and I would love to start in on these projects too! What a wonderful book! AND a wonderful give away. Thank you for offering it! I'm so proud to know so many of the people in this book! Beautiful! Thanks for the giveaway! What a wonderful giveaway! I would love a chance to win and help out a good cause to boot. That books sounds soooo interesting! Thanks for the give-away. Great book and great concept!! Thanks for the wonderful giveaway! That looks like an inspiring book! Congrats on being included! The book looks so amazing. Thank you for all your work you have put in to it. (and all the other people too). Such cute projects in this book. Thanks for sharing your giveaway. What a lovely and generous idea! I'm sure that the winner will treasure this amazing book. That book looks amazing. Congrats! What a wonderful book! It sounds like a great idea! That sneak peak make me want to have one. Beautiful book! Thanks for hosting this giveaway, Maya! Congrats! What a great book and for a good cause. This book looks amazing! Congratulations on being featured in it! Those projects look great even without the added bonus of being for a cause! I love your blog and that book looks fantastic!! !...I would love a copy to do projects from during craft night with my friends. 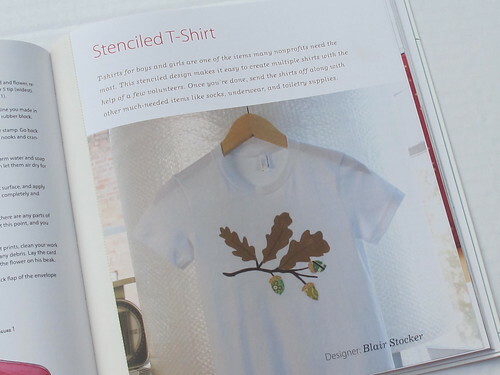 I love that it is a craft book for a cause! I just checked it out on Amazon and would love to have this book! Congratulations, your hardwork shows! Yeah....the book looks amazing and how can you go wrong with the cause! What a great book idea! Just the pictures you posted are inspiring. 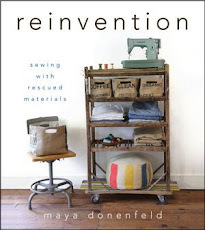 That looks like a book that every crafter in the world needs to have! I try my chances in your give-away, if I don't win I'll buy it of course. Thanks for the giveaway! I was so excited to see your preview post on this book and now a giveaway, awesome. So many lovely projects! Thanks for the giveaway! What a combination! A beautiful book with a beautiful purpose. I'd love to have a copy for inspiration. What a sweet book! Thanks for the chance to win. This looks like a really great book with lots of fun project ideas! What a wonderful book. I love making things for others, and what do you do when every family member and friend has several handmade items? I look forward to savoring the pages and trying the projects, even if I don't win a free copy! I just recently found your blog, and have enjoyed perusing the archives-- especially the barn! So lovely and inspiring - not just for the projects but the spirit and generosity contained within. Thank you for the chance! this book looks so fabulous!! thanks for the opportunity! :) i LOVE that bird you carved. I love this book! Love to have it in my collection.Very inspiring pictures and ideas. Juist when I was thinking that I need to start planning for holidays gifts! Pick me! Pick me! Thank you so much for the chance to win such a wonderful book. Love this idea! I'm ready to start making pillowcases for the current project, ConKerr Cancer. Thanks for the giveaway and congratulations on being published!! so happy to see you in this publication...not surprised ! What joy filled pages they must be..such compassion and a giving spirit each project. I am so excited to see this book!! YAY! So sweet, I can't wait to get my hands on a copy! everything looks amazing! keep up the great work. What a beautiful book. Thank you for the chance to win! Ooh, I can't wait to see this book for real! Thanks for the chance at my own copy and well before Christmas! ooooh, I've been looking forward to this book! Thanks for another awesome giveaway! Thanks for giving your readers a chance to win this awesome book. Thank you so much for another give-away! That's so very generous of you :) I'd love to win this book because I teach art and needlework and I'm always happy about such recourceful and thougthful books! Congrats on being published! Very inspiring! 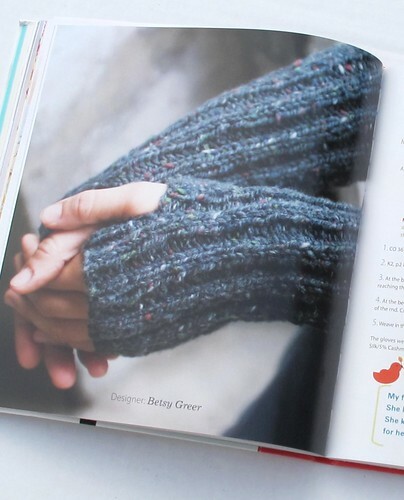 I love Craft Hope too and would love to win this book! Keep doing what you're doing- i love it! that looks like it has so many fun projects!! And i like that many look like they can be made using refurbished items!! So many awesome projects and fun, too! Oh, I'd love to win this book. How inspiring. Thanks! I love the intention behind this book - you must be so proud to be a part of it. I need to try to escape the kids one of these days and get to a bookstore and have a gander. Love Craft Hope & Jade! Incredibly inspiring in a world that seems to ooze sadness sometimes. May the Lord continue to bless it! Thanks for a chance to win!! thanks for the peek! what a beautiful project! congratulations! The book looks beautiful, all the more so for its intention to help. Congratulations on being part of something so worthwhile. Love Craft Hope, love you! This book looks wonderful! What a honor to be part of such a team of creators - and thank you for your giveaway. What a wonderful book and a delightful giveaway! It would be a pleasure to win! Wow. I just added this book to my wishlist. Would LOVE! I would love a copy of the book! Thanks for the wonderful giveaway. It's my birthday this week, and this would be a most divine birthday gift! Oh thank you Maya for a chance to win an autographed copy! I would LOVE to win this great book! It's just a wonderful idea. Doing things you love to give love to others. Thanks for the opportunity! what a wondrful book full of hope! thanks for the opportunity! This book looks wonderful! I participated in their Gulf oil spill project, it felt so good to feel like you were able to help in some small way . Thanks for the opportunity. The projects in the book look fantastic and right up my alley to have the opportunity to GIVE BACK. I would love to win this. I want to know how to make those hats that look like they are made out of a T-shirt and tied in a knot on top. Looks like lots of neat things in there. What a lovely looking book and what a great cause. Thanks to you (and Lark books!) for the chance to win! great give away; I will be buying this book if I don't win it. How kind of Lark - and of you! Thanks for the chance to win such a beautiful book (both in fact and in intention)! I would so love to win one of these books! i would love to sit down with this book! how lovely. The book looks beautiful. I'd love to win. How wonderful. I would love to win a copy. The little preview you gave of the book makes me want to craft!! What fun. I just found this blog and the joy of making things with my own two hands. This book looks great because I need all of the instructions that I can get! I am smitten with your stamp carving. What a beautiful book to feature your talents. Thank you for the chance to win this lovely give-away! What a gorgeous book and what a beautiful cause. A lovely book for a lovely cause.. fingers crossed! It's wonderful participating in such great project. I hope it will give many people the desire to do this little extra for a cause that brings joy to both parties. And thanks for the chance to win one copy ! I cross my fingers ! Oh this book looks so Delish...thank you for including us on the other side of the pond! I would love to win this book! Thanks for the great giveaway! 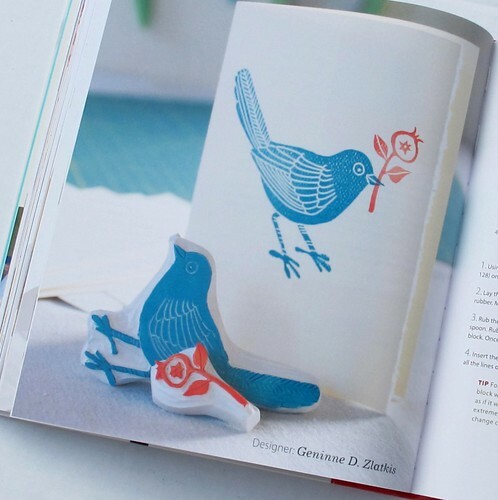 Looks like a fantastic book full of inspirational crafts. . . would love to win a copy. . . Thanks for the opportunity. What a beautiful idea for a book! A perfect gift for those friends and family who like to give back too. Ohhh, that is a lovely book! Thanks for sharing! what a wonderful giveaway- thank you for the chance to share the love! My company often organizes crafting for charities - knit baby caps were the last project. I would love to spend some time with this book and bring some new ideas to the table. Thank you for the giveaway. I am so intrigued by this book and can not wait to see it in person. I like that it has different crafts in it and that perhaps I would be guilted into learning something new! Thanks so much for the giveaway! Would love to win... what a great book! I can see my grand daughter and I trying some of these projects! What a beautiful book...and giveaway! What a great book - and generous giveaway!! I see an apron in there - I would love to make that! What an amazing book! A very generous giveaway! What a nice surprise and fun book. May the book fairy's be on my side. Thank you. Wow! This looks beautiful with lots of gorgeous projects. I'm attempting to make all my presents for people this year and I think this would be just the helping hand I need with all its lovely ideas! thanks for the chance! What a cool book! My daughter's name is also Maya and I remember my surprise when I first found your website. what a cute book. lots of ideas. thanks for the generous give away. 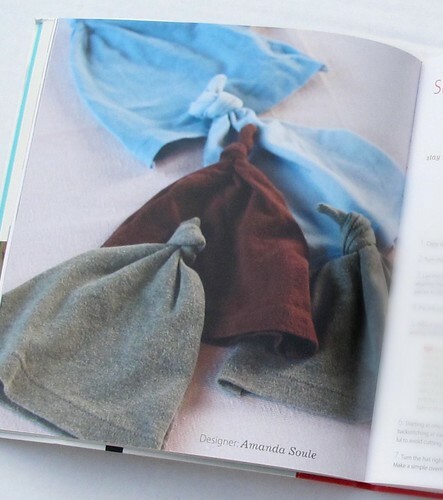 Love the book, especially the hats made from t-shirts (i think) I am a birth doula and would love to sew up a bunch of these and embroider something special on them for the babies! already feeling inspired... thanks for the giveaway! What an inspiring book! Count me in please. What a beautiful compilation of projects, so very sweet. The book looks amazing! I can't wait to see a copy in person. I may have to make a trip to the bookstore soon. what exciting ideas you have! how i'd LOVE to have this book! thanks so much! hey! I just saw this book last week at the Textile Museum of Canada. It looked great! Would be nice to look through it without having to mind the kids in the store! even better to won it to make something from it. I am just a teen but I really like making and recycling things, and your blog and so many other blogs have inspiring ideas! Thank you! And also thank you for the chance to win this book! I would love to share it with my friend if I could. What a wonderful book congratulations! I make dolls for charities and it is wonderful to see what other projects I could tackle. Cheers! Looks like a beautiful book. I haven't seen this anywhere yet! Thanks for the give-away! I love the Craft Hope-site, I try to participate when possible. This looks like a great book! The book looks amazing. What a great idea. What a lovely idea and beautiful book. Just the glimpse of it is an inspiration! I'm holding thumbs. Oh! How lovely! I would absolutely love to win this book! oh how I'd love to win this, but if not I'll be excited to buy it too! Thanks for the great (and international!) giveaway! What a wonderful idea, and the book looks so lovely- congratulations! I'm putting this one on my Christmas list (and printing the list out for Mister Bell). I'm excited already, just feeling kinda lucky and as already stated, will probably buy it if I don't win it! I'd love to win. Can't wait to see this book. Thanks for the yummy intro to the book (as well as the giveaway). I have known of it since before it appeared, but have yet to pick up a copy. Am now highly motivated. 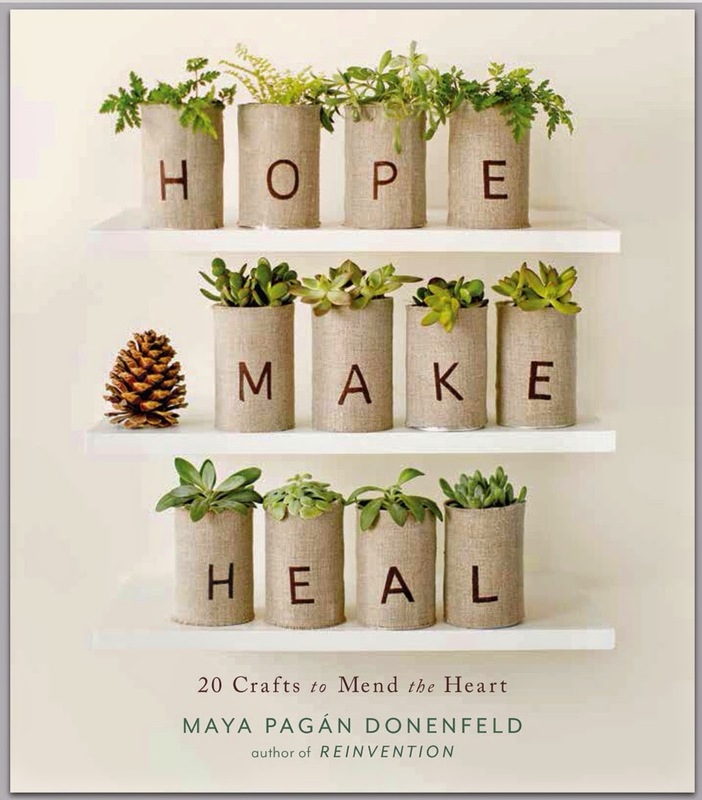 I love craft hope and am excited for their beautiful book. I would love to win! Maya, this is so awesome! I would love to win a copy of this! Crossed fingers. Maya, thanks for such a beautiful giveaway! the book looks beautiful, maya. the spirit behind it is wonderful, too. thanks for the chance to win a copy. I would love to have a copy of this book, and something made by you even more. Thanks for the chance. lovely! looks very inspiring and from such a good place! can't wait to take a look & give a try! This book looks so inspirational. What amazing photos! I've love to have this on my shelf! Thanks so much for the giveaway! It really looks like a beautiful book, and I can't wait to get my hands on one, if not from your giveaway, then soon!! What a wonderful book! Thanks for the giveaway! I would love to win the book and make some of the projects. This is such a lovely idea. Here in New Zealand it's common to give money to causes, but a quite a new idea to make things to give. I love it! How generous, thank you for the inspiration. Love your blog, especially summer photos during Downunder winter. Love the idea of this book. And love your blog! What a lovely book, each project bound to give equal joy to both me making them and the receiver. What a beautiful book! I would love to win! Thanks for the chance. Looks wonderful! I'll look for it in the book store if I don't win. But thanks for the chance! Oooh, it looks great! Thanks for the giveaway! 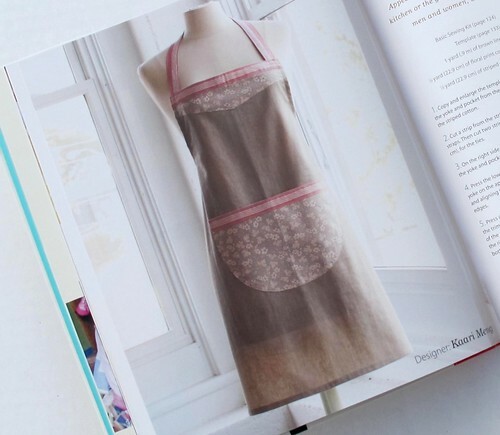 I'm drooling over the apron pictured. Thanks for the chance to win. wow...I remember Craft Hope, where I donated some felted bags that I made for Haiti. That seems so long ago..totally forgot we did that. I would love to win this book! So many of the items were just wonderful. Oh, my first blog comment ever! All for a chance to win this lovely book. I'm home with two munchkins and your beautiful blog is my inspiration - as well as a much needed "adult conversation" during many nap times...thank you! I remember those kimono that you showed a little while back. I absolutely love them and would love to make it! I'd love to get my hands on that book! It looks lovely! Just lovely. Such wonderful, pretty projects in that book.